Enjoy all the comforts of home (including wireless Internet) in this 3 Bedroom, 2 1/2 bath, two-story, END UNIT condo overlooking the first fairway and green at beautiful River Run Golf Club! 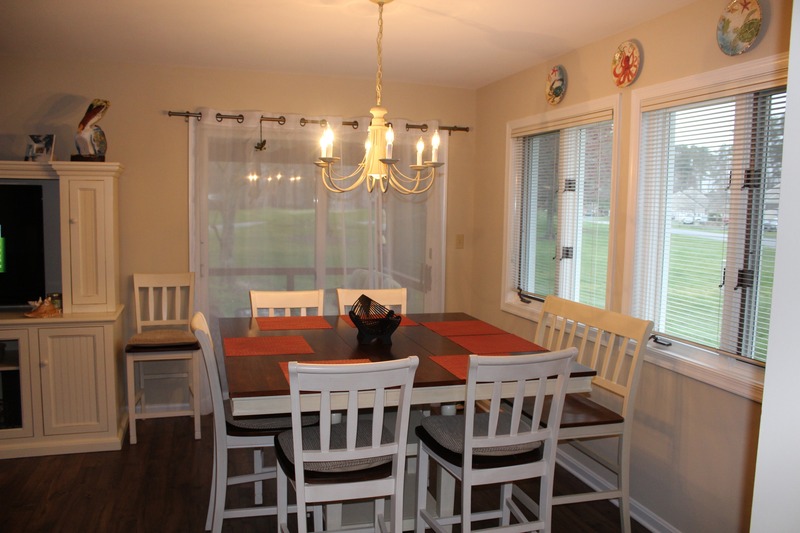 On the first floor you'll find the Living room (contains a Queen sofa bed), dining area (seats 6), eat-in kitchen (seats 4), laundry room, powder room and a bedroom with a double and twin bed. 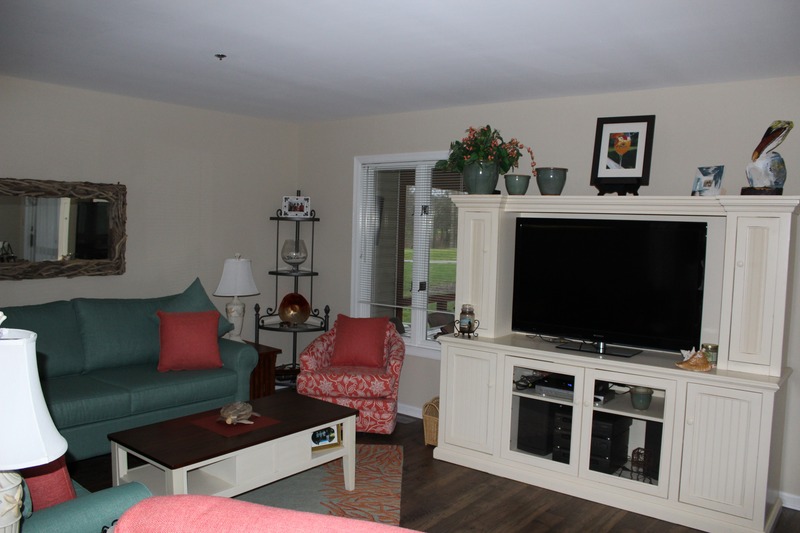 Relax in air-conditioned comfort while watching the new 40"flat screen TV with DVD player in the living room. 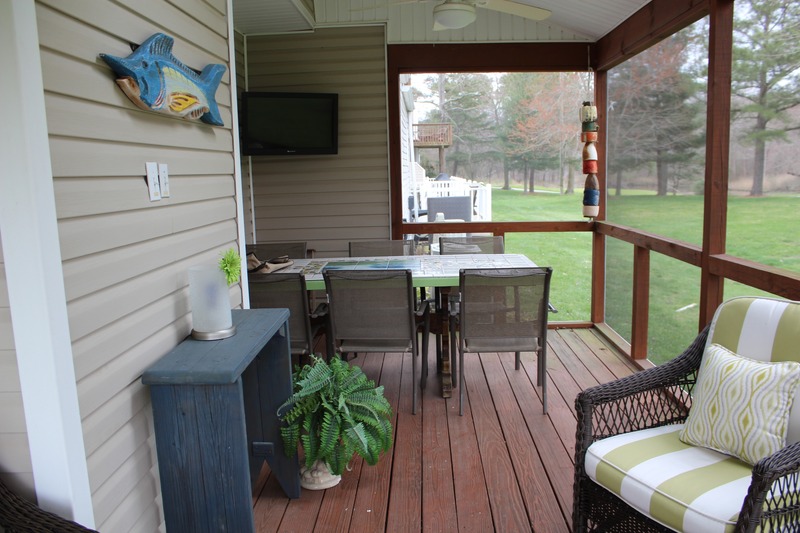 Or, enjoy a cold beverage and a card game on the large screened porch which has table seating for 8 and a view of the first fairway! 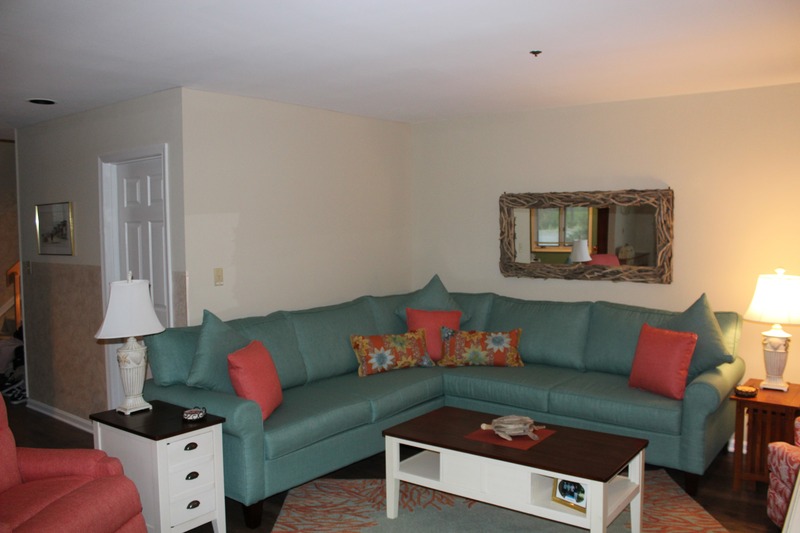 The remaining 2 bedrooms and baths are located upstairs. 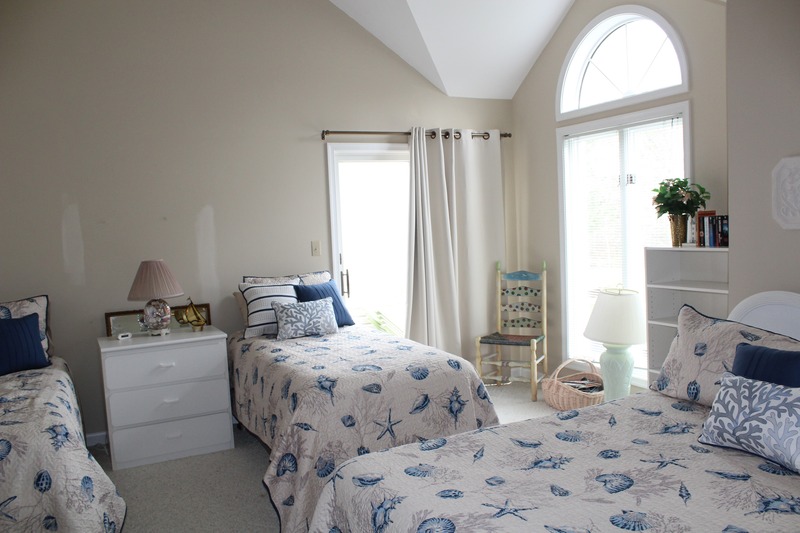 The spacious master bedroom has 1 king size bed, 2 single beds, its own deck overlooking the golf course and an adjoining Master Bath with a double bowl sink and oversized walk-in shower. 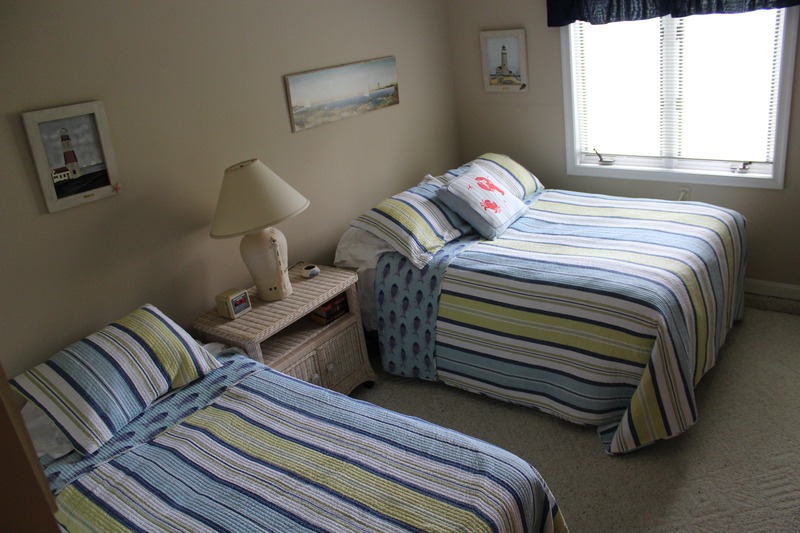 The second bedroom contains 2 twin beds. The main upstairs bathroom features a Jacuzzi tub/shower combination. 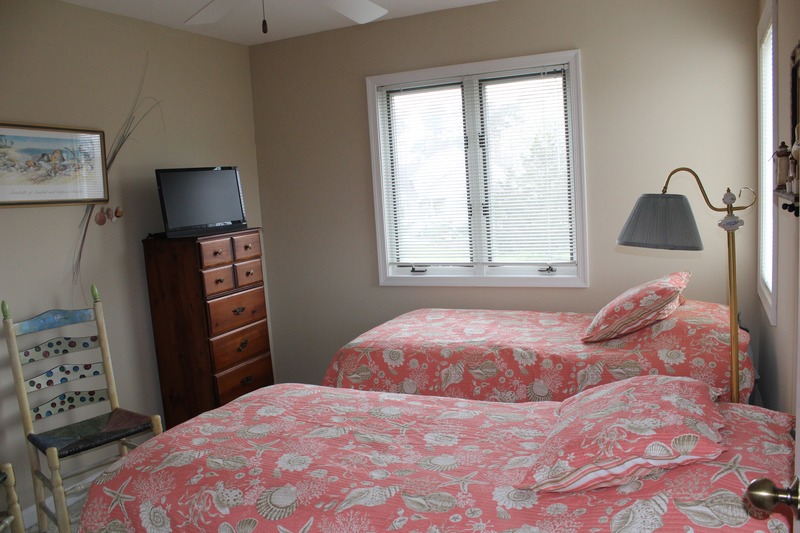 All bedrooms have ceiling fans and cable television. 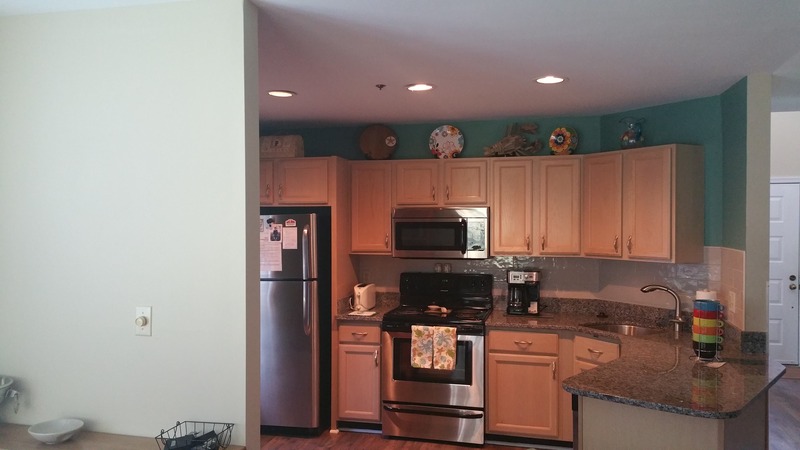 This condo also includes a washer and dryer for your use. All linens are provided. Pool, tennis courts and River Run clubhouse are available to all guests and only steps away. Condo will comfortably sleep 8. There is an additional cleaning fee for less than 3 Nights.